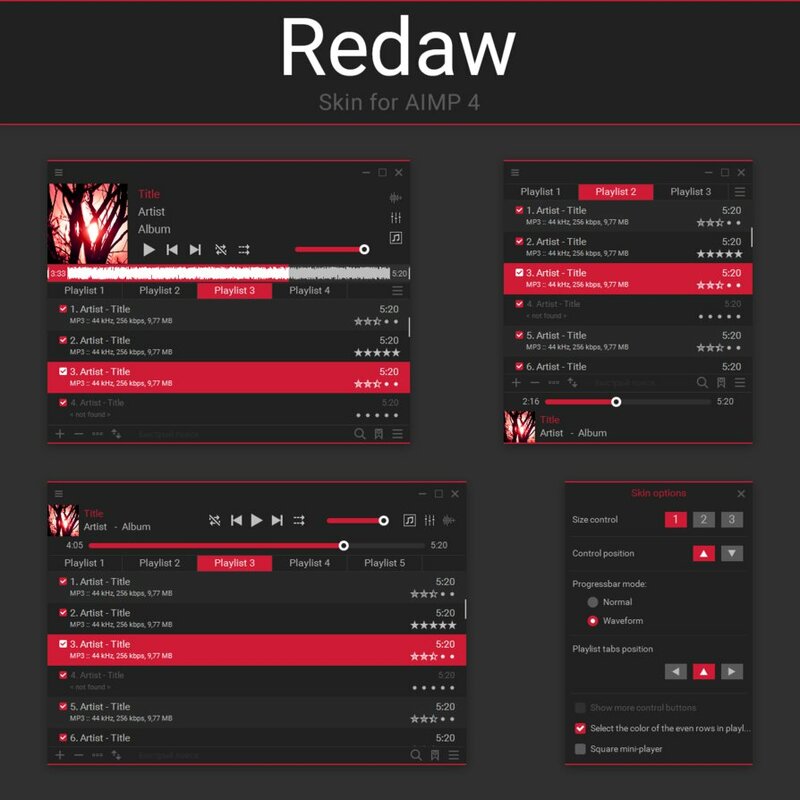 Skin for the AIMP 4 player. The interface is created in the Metro style, that is, all the design elements in square shapes. The main color is dark, the secondary one is red by default (you can change it in the player's settings). All modules are supported, there is a configurator for some appearance settings, in which there is also a choice of 2 variants of tra-control design.